Similar in nature to #70732, these tools are designed for Associated shocks. Designed to eliminate scratching the shock body, this two piece wrench set simplifies many aspects of shock assembly and disassembly. 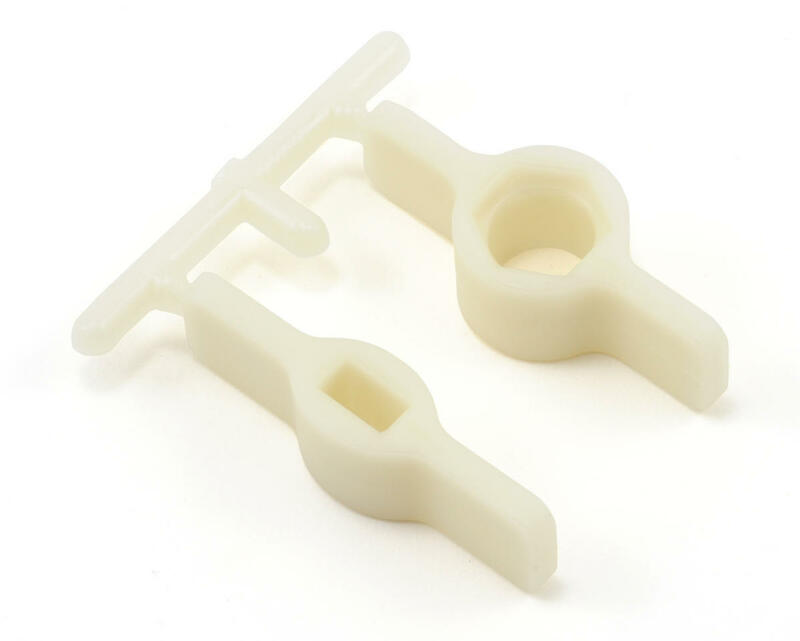 One wrench slides around the shock body hex while the other fits snugly over the shock cap. 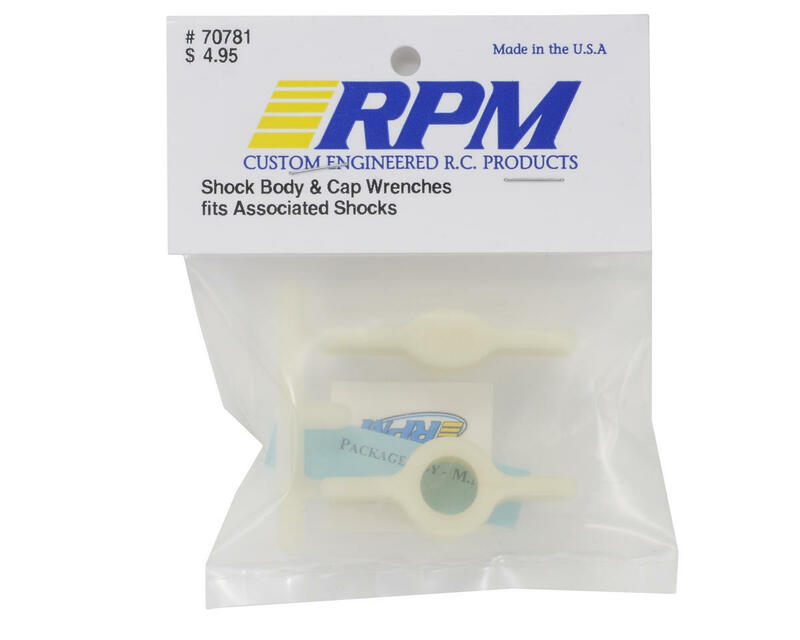 Accept no imitations of the original RPM shock wrenches!